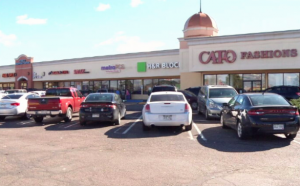 Diem Tong Shot, Robbed in Pueblo Shopping Center Parking Lot; Security Failure? Could this violent robbery have been prevented and are justice and compensation available to Ms. Tong? 44-year-old Diem Tong “was held up at gunpoint and shot near the Pueblo Mall on 156 W. 29th Street, around 7:15 p.m. Saturday night, November 3, 2018, according to FOX 21. Shopping center employees told News 5, “they’re always on guard for shoplifters.” One hairdresser showed the reporter “the business card of a police officer who responded last week when she called to report a suspicious man walking around with a gun.” The incidents raise grave questions over security measures in the parking lot. Shopping center patrons and employees have a right to feel safe and secure while on the premises. The Murray Law Firm questions the level of security provided on the property and whether this shooting may have been prevented. What additional security measures, such as bright lighting, monitored surveillance cameras, clear sight lines, and visible security patrols, were implemented by the shopping center parking lot owner following media reports of prior criminal activity on property?